Unemployment protection schemes provide income support over a determined period of time to unemployed people who are capable of working. Their objective is to provide at least partial income replacement for the loss of earnings resulting from temporary unemployment, enabling the beneficiary to maintain a certain standard of living during the transition period until he or she obtains suitable employment and, increasingly, also to provide support in finding employment through a range of promotional measures and services, including support, counselling and advice in looking for employment, and facilities for enhancing, updating and developing skills. In “normal” times, such schemes aim to meet the needs of individuals whose job losses reflect basic levels of turnover in the labour market, and thus to play a key role in supporting job mobility and facilitating structural change in the economy. In addition to guaranteeing income security for unemployed workers, unemployment protection schemes can also help protect them from slipping into informality, and support their search for new jobs in which they can apply existing or new skills in a productive way. Whether temporary unemployment is the result of covariant shocks, as in the event of the global crisis, or of the constant structural change undergone by economies and labour markets, unemployment benefits represent an effective tool to guarantee income security to individuals, smooth economic changes and stabilize aggregate consumption. Most unemployment benefit programmes are designed to cover workers in formal employment who lose their jobs and find themselves temporarily unable to obtain suitable new employment. Most such programmes do not protect unemployed people who have had no formal employment in the recent past, the long-term unemployed, the underemployed or the working poor. In countries with high levels of informality, wider non-contributory social assistance programmes combining employment and social protection policies have been developed to provide some income security for unemployed and underemployed workers. These include employment guarantee schemes and other public employment programmes, as well as programmes that combine cash transfers with support for skills development and creation of employment and entrepreneurship opportunities. 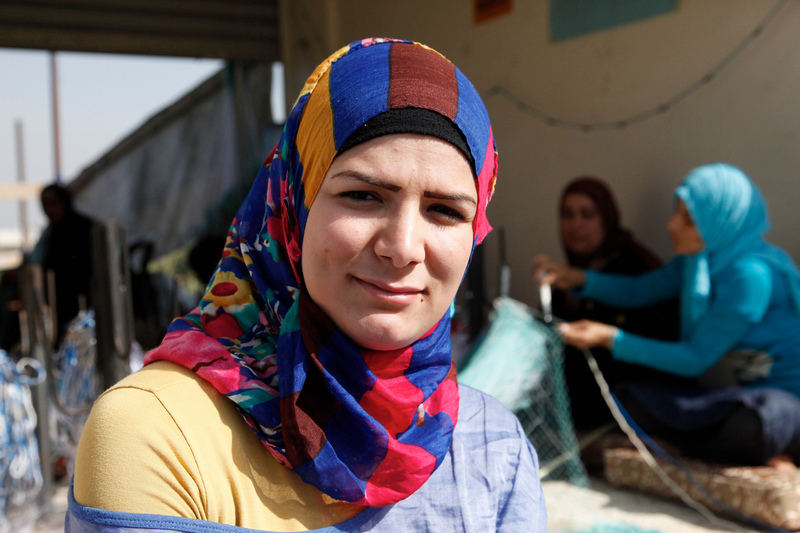 Photo credit: “All I want to do is go back to Syria” by DFID – UK Department for International Development (CCBY 2.0 via Flickr).